Lose up to 30 pounds in 40 days… yes I can! Want to look and feel great today and pay later? Click here to apply for Care Credit. Stop by and introduce yourself. Meet the crew and discover what Fountain of Youth can do for you. Start a rapid weight loss program. Revitalize your natural youthful appearance. Re-energize with IV Hydration therapy. 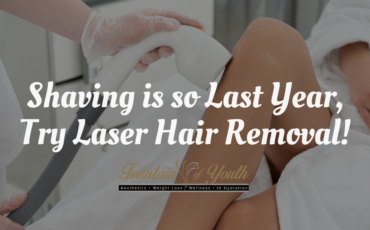 Remove that unwanted hair with Laser Hair Removal. Join us Monday through Friday for Fountain Yoga and Pilates classes. Start your journey to the new you with Fountain of Youth. Conveniently located on the Eastern Shore in Spanish Fort, serving Baldwin and Mobile Counties, Orange Beach, Gulf Shores, Daphne, Fairhope, and the greater metropolitan area. Experience the new you with our weight loss and aesthetics services. Youth is your personal wellness center. Visit us at our modern and elegant Spanish Fort location. 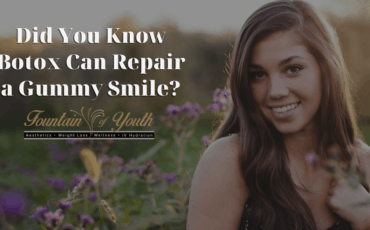 Meet our professional and friendly staff, and experience the Fountain of Youth difference. Are you looking for the perfect gift? 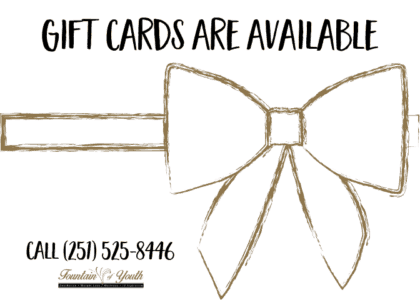 Fountain of Youth has gift cards available for you to purchase. Give us a call today at (251) 525-8446 to finalize the perfect gift for your loved one. LOSE up to 20 IN 30! YES, I CAN! If previous attempts to lose weight have failed… the plan failed you. A healthy weight loss plan includes a personal health profile and a tailored weight loss plan with active monitoring and supervision. As you evolve into the new you, our rapid weight loss plan evolves with you. 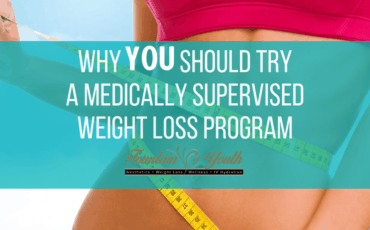 With medically supervised Weight Loss procedures, and Aesthetics and Wellness services you will experience results and the benefits of a planned course of wellness that can be maintained. Schedule an appointment with the Fountain of Youth to start your journey to a new you. Get the facts and get energized, start your weight loss journey with a private consultation with one of our medical professionals. Our team of medical professionals and skilled providers will help you identify, and sustain your objectives. We recognize that each client has a unique health profile, with personal goals for wellness. Together we will get there. Success is measured by a sustained lifestyle of achievements over a lifetime of wellness. We are with you for the journey. Right after receiving the BMI index, I was determined to change my life-style! After some serious research I literally found the ‘Fountain of Youth’. A month later, following their Rapid Weight Loss plan, I am convinced I made the right choice. The Fountain of Youth weight loss and wellness center is your personal success center to enhance and expand your natural beauty and wellness journey. Experience rapid weight Loss with our medically tailored and supervised program, get that unwanted hair removed, revitalize your day with IV Hydration and your skin with Aesthetics Procedures selected for your specific needs. Find success at The Fountain of Youth. Just like us, weight loss programs come in all shapes and sizes. 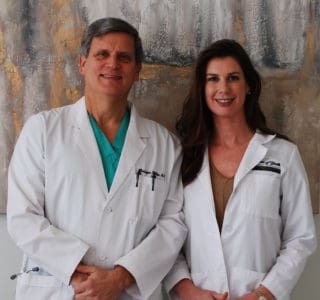 Weight Loss, IV Hydration, Hair Removal, Skin Revitalization and Aesthetics, schedule a consultation with Fountain of Youth in Spanish Fort on the Eastern Shore, and start your journey to a healthier you.